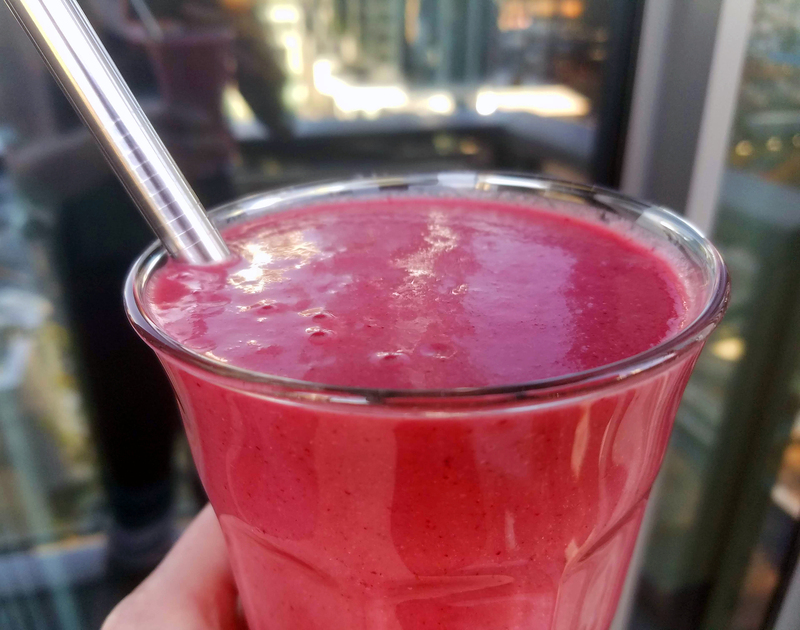 This smoothie is mouth-watering delicious! It is also nutrient-dense and packed with essential vitamins and minerals to kick your day off in the right direction. It uses simple ingredients, that come together to form something amazing, like no smoothie you've had before. A little tart, a little sweet, and a touch of vanilla and coconut. If you are looking to add some extra calcium, protein and healthy fats, opt for unsweetened coconut milk yogurt and coconut milk in this recipe. I use So Delicious Organic Coconut Milk Original Flavor. 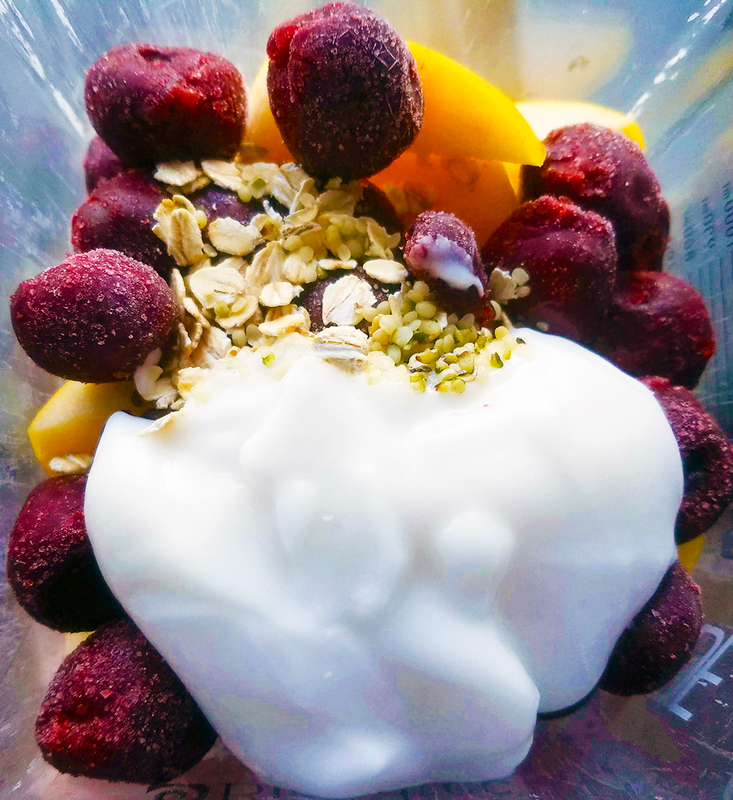 In a high-powered blender, add banana, orange, apple, cherries, seeds, oats, vanilla, and yogurt. Fill with coconut milk to just below the 8 oz. fill line. Let sit 10 minutes for cherries to thaw slightly before blending.